Yep, it’s that time of year again – time to scramble to find the perfect gifts for all your loved ones. Luckily, if your loved ones love Wisconsin, we’ve got you covered at shop.discoverwisconsin.com. 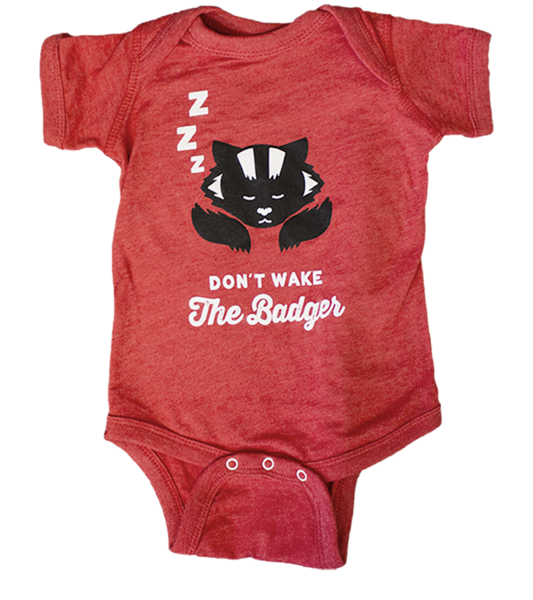 Spoil your little badger with this adorable onesie, complete with badger paws on baby’s backside. It’s even proven that this onesie makes your baby sleep more (just kidding, but you can be our first test subject). It comes in vintage red and vintage blue and in 6, 12, 18 and 24 months. 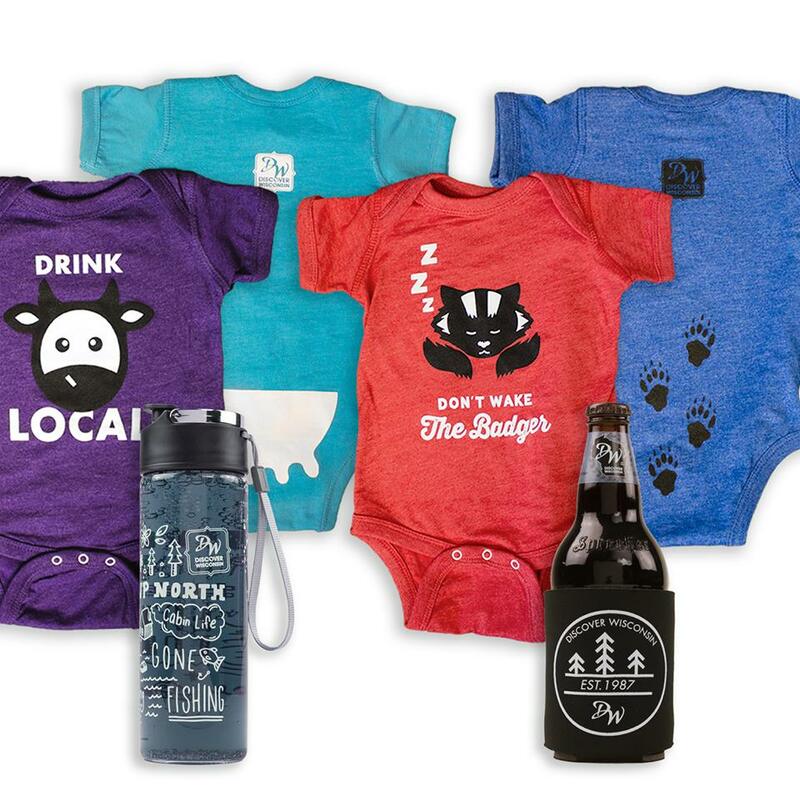 Don’t let any baby go unspoiled this holiday season. 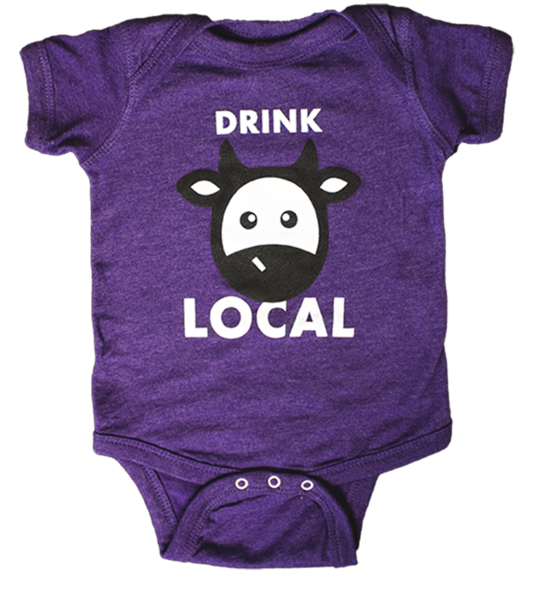 Drinking local is all the rage, and nobody drinks more locally than babies. The Wisconsin cow on the front is adorable, and how udderly cute is the back? It comes in vintage purple and vintage turquoise and in 6, 12, 18 and 24 months. Show us your babe on social media using #DiscoverWisconsin. This one’s for you, James Deans and Audrey Hepburns of the world. 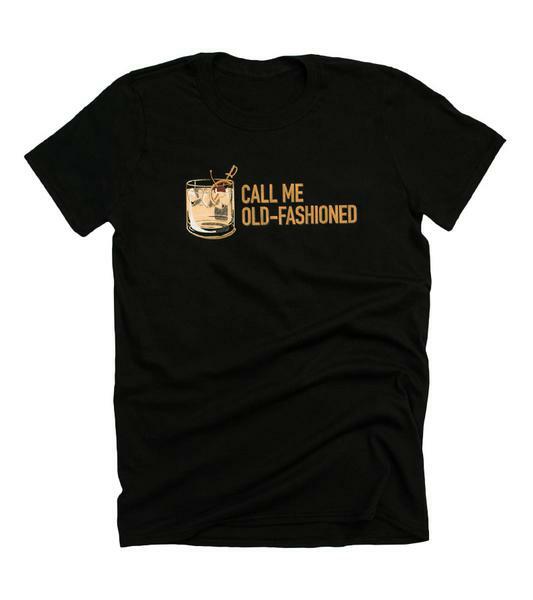 The classic Old-Fashioned (whether team brandy or team whiskey) is a staple in Wisconsin, and now you can rep your classy nature and favorite cocktail with this awesome tee. It comes in both men’s and women’s fits. 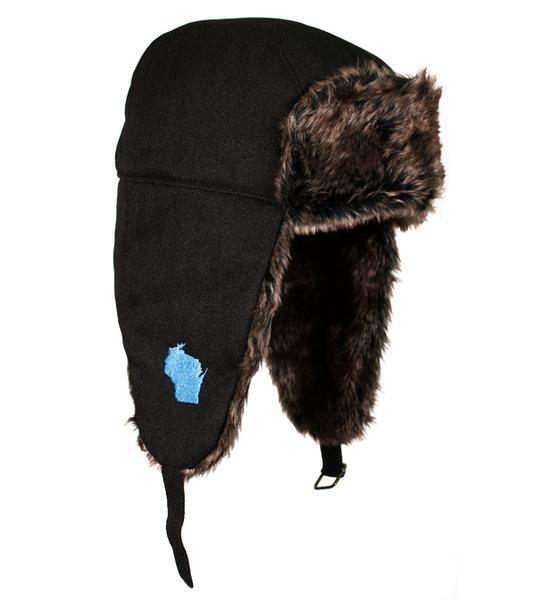 Whether ice fishing, snowmobiling or catching a game at the frozen tundra we call Lambeau, trap nothing but style in this Discover Wisconsin trapper hat. It’s available in a small/medium and a large/extra-large, and it’ll make the perfect gift this holiday season. 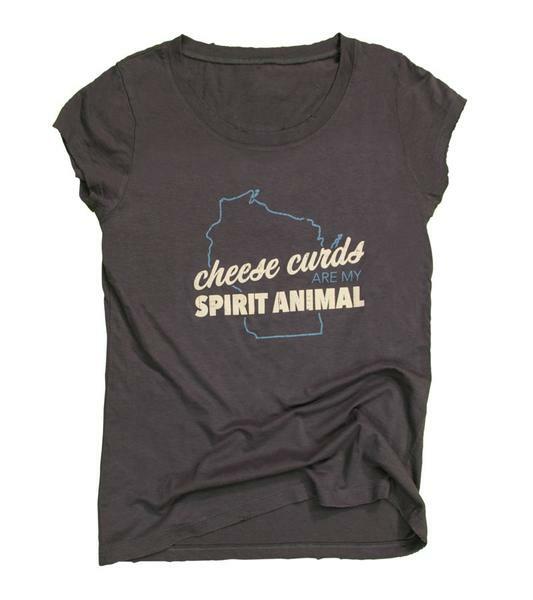 If you know someone who often winds up defending cheese curds’ awesomeness, firmly believes there’s never a bad time to consume curds, and finds themself deep in thought over the fried or fresh debate, this tee may be made for them. It comes in both men’s and women’s fits and would look great wrapped in a big ole Christmas bow. You know those fancy water bottles that sync with your phone and track your daily water intake? Well, this isn’t one of those. We aren’t fancy here. But, it is a vessel that holds water and it’s cute – what more do you need? 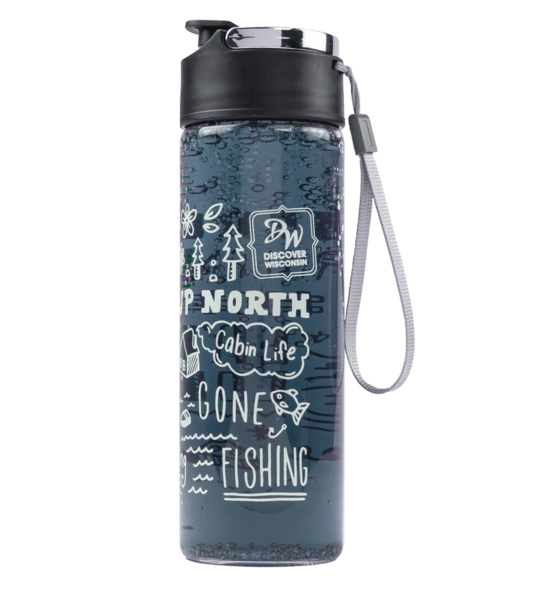 Plus, despite the fact that we call it a water bottle, we won’t judge you based on what you fill it with (Wisconsin milk, duh). With nine months of “sweatshirt weather” in Wisconsin, is there really any doubt how much use this amazing, super-soft sweatshirt would get? 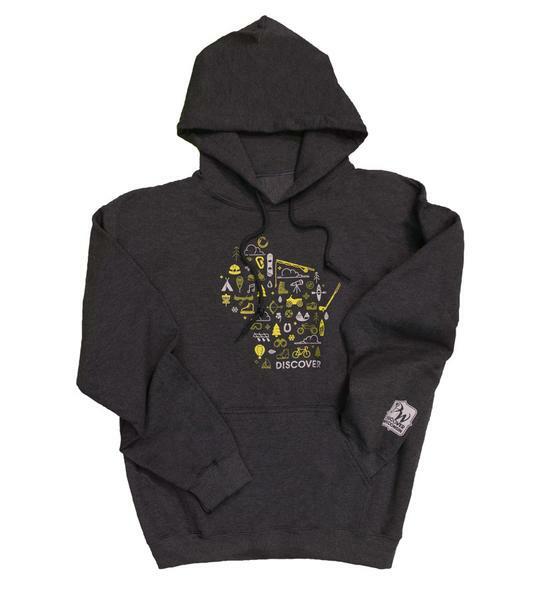 Trust us, this is a go-to hoodie and makes an amazing gift. You’ll thank us later! #WisconsinProblems: Keeping your beer cold and your hand warm. 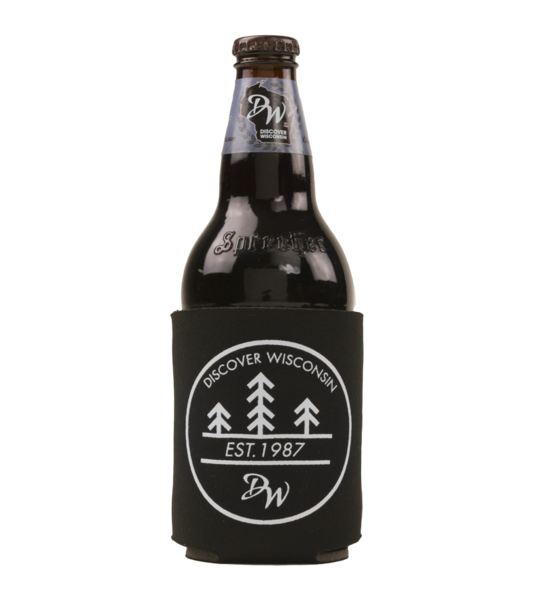 Although our forefathers technically invented the solution to the issue at hand (pun intended), THIS can koozie comes complete with the Discover Wisconsin emblem, and what’s better than that? It’s the perfect stocking stuffer…cheers! 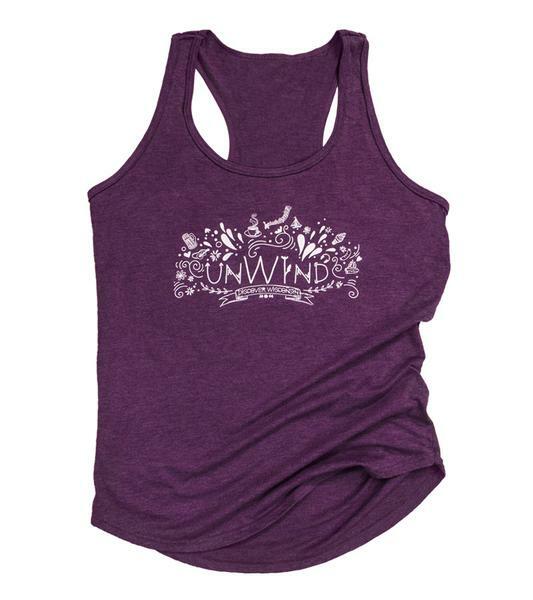 Whether honing a Warrior III pose in yoga class or hitting up Summerfest with gal pals, our “Unwind” tank is made for all you Wisco-loving girls. Bonus? It’s on sale! Wisconsin is home to the largest number of Native American tribes east of the Mississippi River. This book highlights the beauty in tradition, the passion that drives these cultures and offers a deeper understanding of the people who continue to practice the language and customs of their ancestors with honor, dignity and Native pride. 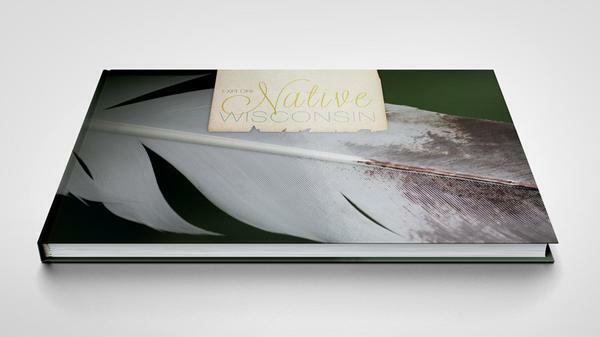 Avid readers, lovers of learning and Wisconsin history buffs will love unwrapping this book during the holiday season. 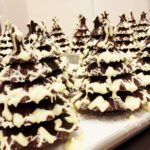 Which Wisconsin gifts will you be wrapping up this season? 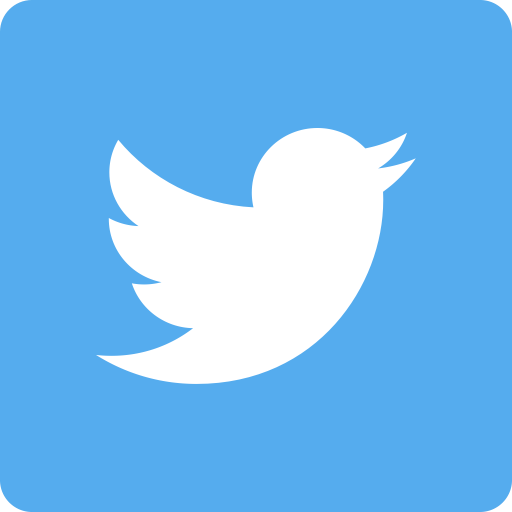 Share with us on social media using #DiscoverWisconsin. Growing up in Shawano and a Stevens Point grad love to see the Bobber & anything WI. ( see email ). Wish “Discover Wisconsin” was available “down here” south of the Cheddar Curtain! 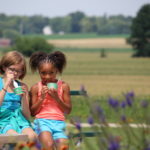 We do get “Wisconsin Foodie” on PBS so hopefully “Discover” will be available on our cable provider! When will the 2017 Calendar be available for purchase?